Early Movie Discs from the George Eastman House. The disc images below are the nine full-color movie discs, or phenakistascopes, included in this exquisite phenakistascope set. They are among the earliest and finest examples of the art published by Fore’s of London and Alphonse GIROUX of Paris. Although first published within one year of the original public introduction of the toy, the animated sequences show a remarkable sophistication and certain humor. The original discs are now found in the film archive at the George Eastman House in Rochester New York. An enclosed booklet has two essays written by Philip CARLI, former film archivist at the Eastman House, and Maureen FURNISS, Ph.D. editor of Animation Journal. CARLI looks at some of the influences in the early designs of the phenakistascope, while FURNISS compares the techniques of these earliest of animated cartoons with later developments in filmed animation. 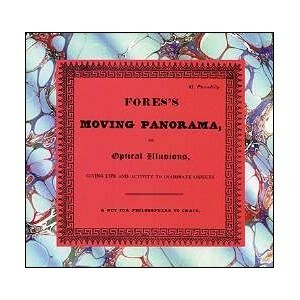 "Fore’s Moving Panorama" comes complete with nine color discs, a maple handle and instructions for viewing. 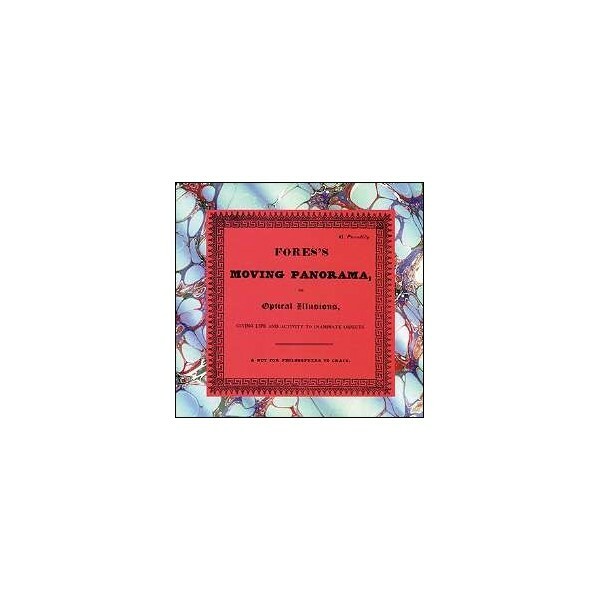 All is encased in a colorful folder based on the original Fore’s set of 1833.